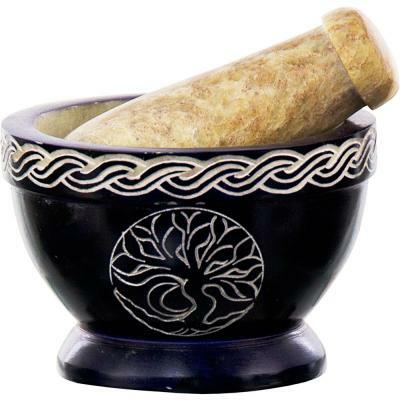 We are a family owned and operated distributor of high quality organic herbs, spices, and related accessories. Our products range from consumer ready items - to bulk for dispensaries - to industrial quantity herbs, spices, and ingredients. Our customers consist of manufacturers, bakeries, health food stores, herbal practitioners, and naturopaths. Twenty years ago, people did not want organic. 10 years ago it was only for the conscientious forerunners of our society. ... Now, things have changed. Organically grown herbs and spices are grown sustainably, and are absent of harmful chemicals and GMOs. Organic is the way of the future, but only if people take action today. Not all of our products are certified organic. We sell non-organic products too, where markets and economy dictate. The products we sell that are not organic are marketed as "Ethically Wildcrafted" or "Pure Quality". We import, package, distribute and support dried herbs, spices and related accessories to health food stores, manufacturers, and practictioners across North America. Hi! We are Organic Connections, and this is our incredible story. Our beginnings were small... for as long as I could remember, my parents had a huge organic garden that fed us throughout the year with the help of a few perserving techniques like canning and drying. Life was good, Dad drove a truck for a living and Mom stayed home with me and my sister. I was less than 5 at the time. Sometime before 1987, Dad got hurt and couldn't drive for a living anymore. Being lucky enough to live in Canada, the Government paid for Dad to go back to school to retrain. In the meantime to help supplement their income, my folks started hauling organic fruits and vegetables to health oriented markets and stores in nearby Toronto. In the beginning, things were slow and steady, but demand swiftly outstripped the supply of good quality fresh farm produce. It seemed as if we were on the cusp of something huge that people were crying out for. From the back of our brown, thirdhand pickup we saw the beginnings of our incredible organic industry. Even though we could hardly keep up, we pushed on, and the fledgling business grew. We managed to negotiate a distributorship with a likeminded American distributor that was heavily into bulk herbs, Frontier Natural Products Co-Op. That was our first line of products. Later, we would shake the hands of Daniel Gagnon, the founder of Herbs Etc. and Mariam Massaro of Wise Ways Herbals (Unfortunately we no longer carry Wise Ways products). Other product lines would come and go, but these companies have always been near and dear to us, since they are of such outstanding quality and usefulness. Our little business grew, and it wasn't long before one of our supplying farms decided (tragically) to give up on organics. Mom and Dad decided to leave the produce trucking business behind and concentrate on what would be called "organic herbs, spices, and related articles." As things progressed, we realized there was a hole in the industry, there were no good quality herbs readily available to the end user. We decided to do something about it. Dad bought a secondhand teabagging machine and we started putting our great organic herbs into teabags and labelling them as Celebration Herbals (est. 1997). Today, Celebration Herbals remains our brand and it is distributed around the world. We make lots of products, organic whenever possible, all with an eye for quality and value. Also, Organic Connections distributes all of Celebration Herbals, Frontier Co-operative herbs, Wise Ways Herbals, and other brands to health food stores and herbal practitioners across North America. One of our growing specialties is the supply of large volume organic ingredients and herbs to bakeries, neutraceuticals, and food manufacturers. We are an organic processor, and certified Kosher. We are inspected regularly by the third party agencies Pro-Cert Organic Systems (Formerly OCPP) and KSA. Our customers have remained the same throughout the years. Some of our best and oldest customers remind us now and then of the time they helped us unload vegetables in the heat of a Toronto summer. We've got a lot of new additions to the family, and are striving to grow our business with good ethics and a friendly, family oriented mentality. We hope to serve you today, tomorrow, and for years to come. ...and many in general, at Organic Connections. We supply all sorts of good products to the health food and natural products industry, as well as lots of high quality organic ingredients to health minded manufacturers. Our consumer ready offerings are extensive. Here are a few of the lines we support and stock. For an expanded list, contact us and ask for a consumer (blue book) catalog. We do industrial and small bulk. This is the name of our company in which we pack herbs and spices from around the world. We have bulk in one pound and less, in stock, for over 800 items, and can custom pack any larger sizes you require. Larger Quantities for Manufactures and Bakeries Are you a food or natural health product manufacturer? Are you a bakery? If so, we can help! We have lots of products and services that can help you out. We can even custom blend your proprietary spice or seasoning mixes and provide COAs (certificates of analysis) for qualifying purchases. Celebration Herbals is our sister manufacturing company. Founded on the same principles as Organic Connections, they produce teas, bottled herbs & spices, "C" Blend Tea and a few other unique products. Frontier Natural Products Co-op has been one of our suppliers from day one. Their site is a great resource for information on current happenings within the herb trade industry. Frontier supplies a large selection of bulk herbs and spices, and many consumer ready products. Simply Organic, (a brand of Frontier) makes all sorts of tasty organic mixes and spice products. They can easily turn any decent cook into a gourmet chef. Check out their extensive selection and give your tastebuds a treat! Aura Cacia is a top grade essential oil and aromatherapy company that has been at it for many years. They have extensive lines of organic and non-organic essential oils. Aura Cacia also makes some great body care and baby products that show just how useful aromatherapy can be on a daily basis. 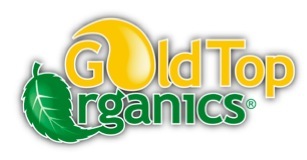 Gold Top Organics has an extensive range of flax seed, flax and hemp meals, and nutritional oils. The flax and hemp meals are vacuumm packed for freshness and don't need to be refrigerated until opened as a result. 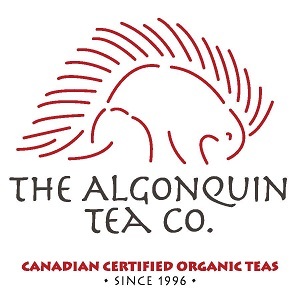 The Algonquin Tea Company makes unique wildcrafted and organic teas. They use many herbs that are grown and hand picked in the Algonquin Park region of Ontario. All products are unique and feature the goodness only nature can provide. © 2019 Organic Connections LLC. All Rights Reserved.